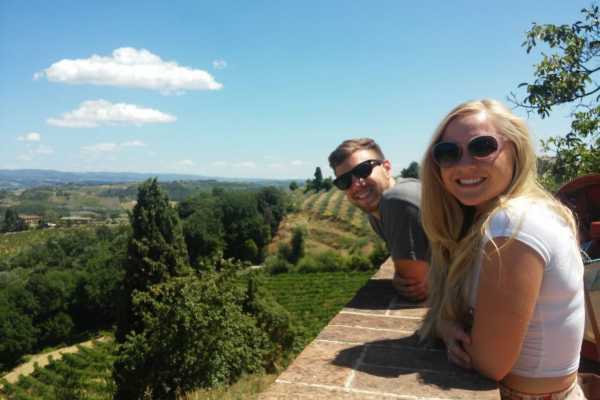 Tours in Florence - Tuscany on a Budget, one of the Italy on a Budget tours' branches, is a travel company based in Florence and specialized in the youth travel 18-35 ‘s market. TRAVEL TO ROME FOR A DAY FROM FLORENCE TO SEE ALL THE FAMOUS SIGHTS OF THE ITALIAN CAPITAL. Always wanted to see the Italian Capital but Tuscany took your heart away? If you are in Florence, why not taking a day tour to Rome and get to see all the main sights in one day! Just hop on the train in the morning, sit down, lean back and relax. 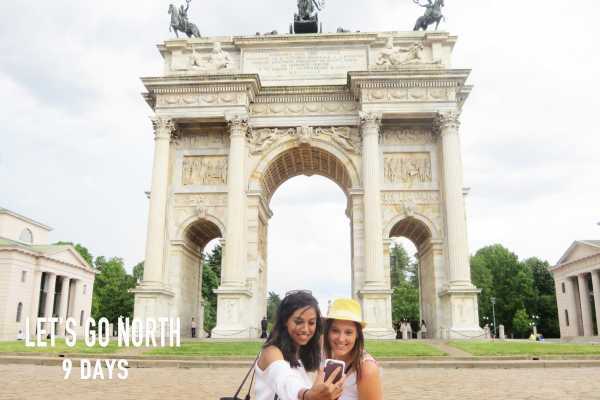 Once in Termini Central Station, meet your fellow travellers and our friendly Italy on a Budget local tour leader on a walk that will take you through the charming streets of Rome, telling you the legends and history of the famous sights and hidden gems along the way. Sit on the Spanish Steps, throw coins in the Trevi Fountain, and marvel at the St. Peter's Basilica… A lifetime might not be enough, but you sure can make the most of a day! We’ll stop for the best gelato, and then you can join our optional, skip the line for our fully-guided tour of the Vatican Museum. You will have plenty of time left over to explore St. Peter’s Cathedral at your leisure or perhaps go back to the Colosseum and be amazed by it a little bit longer. SIGHTS VISITED: - Colosseum ( externally ) - Piazza Venezia - Vittoriano - Spanish Steps - Pantheon - Trevi Fountain - Castel Sant'Angelo - Vatican city - St. Peter's Basilica ( externally ) DETAILS Every MONDAY & WEDNESDAY 7:30am approx Return train tickets on fast speed train, return metro tickets in Rome, info from our Italy on a Budget tour leader. - The exact departure time and train tickets will be provided a week up to 2 days prior the trip by email. - The departure time and arrival time may vary depending on the train schedule - There is a lot of walking involved. This tour is not suitable for people with walking disabilities - Wear comfortable shoes and bring something to cover your sholders to access the Vatican and all churches. Skirts and trousers up to your knees. Back to Florence 08:30pm approx ADD ONS - Add to your booking our walking tour of the Sistine Chapel and Vatican museums starting at 3:00pm for a full experience. Visit our day tours in Rome page. - Lunch in a local restaurant with traditional Roman products to pay locally. An original and fun orientation walk of Florence at night to meet new friends while discovering the city with aperitivo. 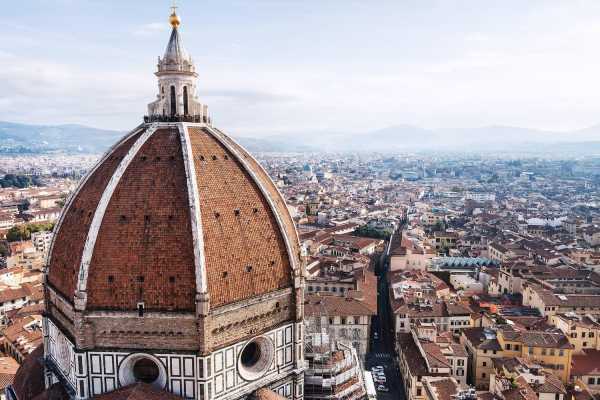 Learn about the local customs and the traditions of Florence and Tuscany with our team and end the tour with the Italian version of "happy hour" with a spritz and snacks while getting to know the other like minded travelers. WHAT'S INCLUDED Your local & informative IOAB tour leader Orientation walk of the city centre Local info about the city and products Aperitivo composed of a drink and all you can eat buffet DETAILS: WHEN: MONDAY, WEDNESDAY, FRIDAY, SUNDAY MEETING TIME 06:00pm on Mon, Wed, Frid and 08:00pm on Sundays (10m prior departure time ) MEETING POINT in front of the IOAB office on via nazionale 149R - Firenze PRICE € 22 DURATION 3h MIN/MAX min 4 people - max 10 24H IN FLORENCE? COMBINE THIS TOUR TO SAVE MONEY AND TIME Combine this tour with the GRAPE ESCAPE WINERY TOUR. Come on a day trip to the Chianti region in the morning and learn about the city of Florence in the afternoon. All in 24h! Save 5% when booking 2 tours together and 10% when booking 3 or more. A full immersion in one of the most famous museums in the world. WHAT'S INCLUDED Staff Assistance at the meeting point Licensed Tour Guide Museum entrance ticket with advanced booking fee (guaranteed admission and skip the general entry line) earphones for groups of more than 15 people DETAILS: WHEN: Every day except on Monday CLOSE OUT DATES: May 1st and on the first Sunday of each month START - END: 4:30pm - 06:00pm DURATION: Approx. 1 Hour and 30 minutes inside the Uffizi Gallery MEETING PLACE: 15m prior the starting time at the Uffizi Gallery Museum in front of the door n.1, entrance reserved to the booking holders. An Assistant will wait for you holding a yellow sign GUARANTEED DEPARTURE: min. 2 pax IMPORTANT INFO: Italy on a Budget collaborate with a licensed local operator providing museums guided tours. Complete Operator information, including local telephone numbers at your destination, are included on your Confirmation Voucher.